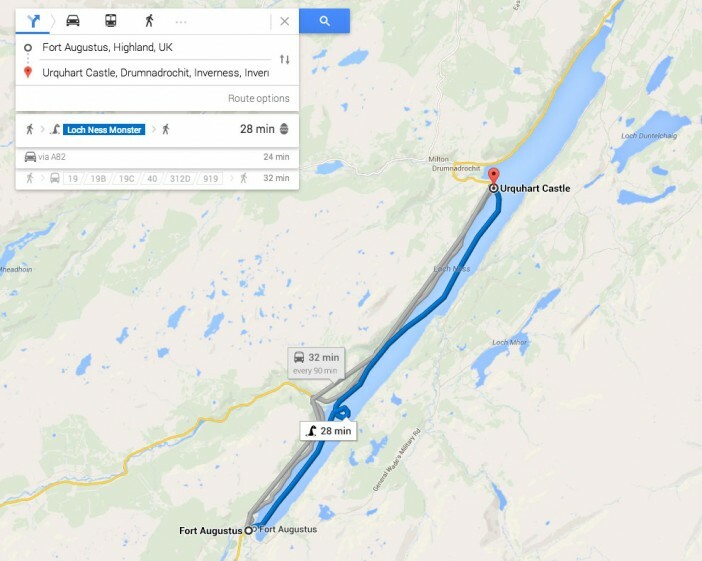 Adding to its ever growing list of options for directions, Google Maps has added the option of travelling by dragon in Wales and Loch Ness Monster in Scotland, thanks to two hidden ‘Easter eggs’. 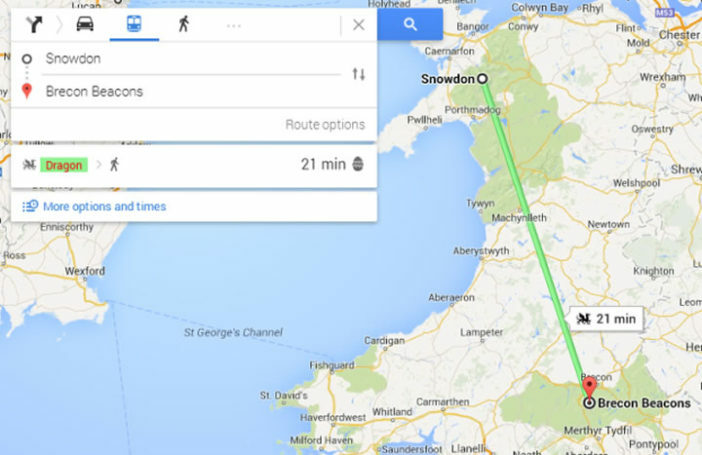 According to the search giant’s online mapping service, it would take just 22 minutes to travel from the Brecon Beacons to Snowdon, the highest peak in the British Isles, if you could find yourself a tame dragon to fly you there. Alternatively, if you’re in Scotland and want to travel from Fort Augustus to Urquhart Castle then that will take you just 28 minutes with the help of Nessie. ‘Easter eggs’ in software are hidden features or jokes that the developers leave in for users to find, and Google Maps contains a number of such secrets, including a flying saucer ‘pin man’ at Area 51 in Nevada, US.